This barn conversion is situated in the farmyard of the owner s 130-acre cattle farm and enjoys peace and tranquillity. Located one mile away from the village of Martinstown on the outskirts of Dorchester which was home and inspiration to the celebrated author Thomas Hardy whose novels Tess of the d Urbervilles and The Mayor of Casterbridge were both based on the town. The local area offers plenty to see and do including Hardy s Monument Hardy s Cottage Abbotsbury Swannery Montacute House Bovington Tank Museum and much more. Also within easy reach are the seaside resorts of Weymouth and Portland. Thoughtfully converted in an open-plan and sociable layout this cottage is cosy yet light and bright. Prepare romantic meals for two in the well-equipped kitchen area which contains an electric oven hob fridge with small freezer section microwave and small dining table and chairs. At the end of a long day exploring the local area relax and unwind in the lounge area beside the wood burner and TV. The king-size bedroom is clean and bright with a door opening onto a patio area. The modern bathroom has a bath and overhead shower WC and heated towel rail. 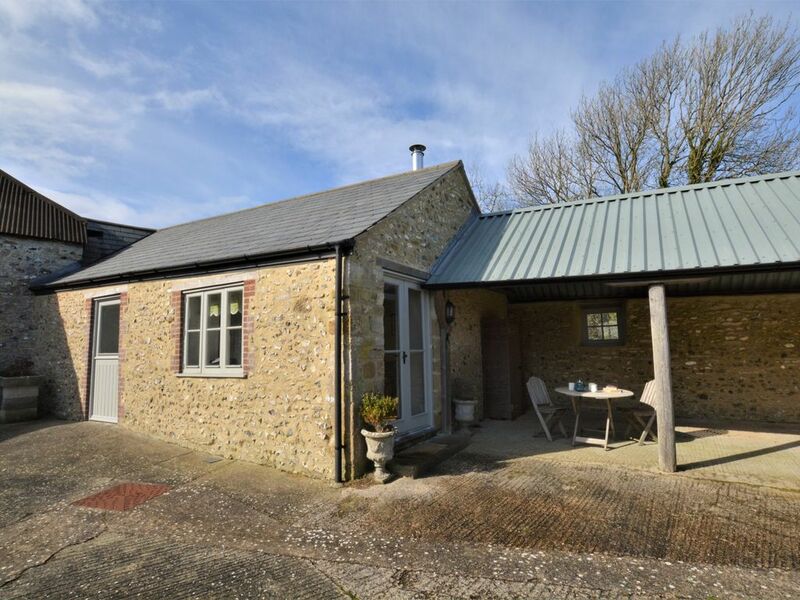 While the bedroom opens onto a pretty patio area the adjacent open-sided barn enjoys a sunny aspect and offers a covered BBQ area with garden furniture for al fresco meals come rain or shine.